They say that your car is an extension of yourself, so the kind of car you drive reflects you as a person. While we usually don’t agree with stereotyping people, we just couldn’t resist this time around. Here are the 5 common car stereotypes in Malaysia. Note: This article is meant in pure fun and is not intended to offend anyone. The most typical thing for 20 somethings now is the classic graduate, get a stable career, find a partner, get married, have kids and live happily ever after. This is so true with The Family Man. The Family Man usually drives around a humble family sedan, even when there are no kids in the horizon. This is because the car is expected to last for at least a few years, so why not settle into the rhythm of driving a reliable family sedan now? For some people, any car is better than no car. Even if they're not financially well-off, they somehow manage to find a way to acquire a new car. Public transportation isn’t even part of the equation. As these people tend to be unfussy, or rather, they don't have a choice in being fussy, they generally go for a basic budget hatchback. 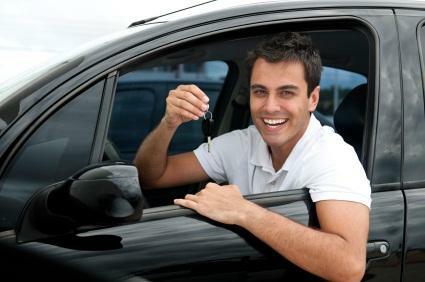 For those born with a silver spoon, getting a first car is probably as easy as simply picking one out from a brochure. Something from a premium European brand is generally important, and looks and image are paramount when it comes to the choice of your car. The car has to look good, and boast enough performance so as not to 'lose face'. Facing clients may not be the job for everyone but for The Salesman, it’s a necessity. That’s why The Salesman goes for a car that shows off their success (to inspire trust in their clients) but doesn’t come off as being too over the top. A classy sedan works well to express the right message here. A sedan is conservative looking but also reflects the right image and brand The Salesman is trying to portray. Mid life crisis is a very real thing. After reaching a certain age, some people may feel the need to reward themselves with a nice set of wheels. This may sometimes mean that they go all out to get themselves a car that may not necessarily reflect their actual age. Example; driving a sporty, two-door race car at the age of 50. Still, age is just a number, and if one remains young at heart, honestly there's no issue at all! Do you agree with these points? Which one are you? Leave a comment below!